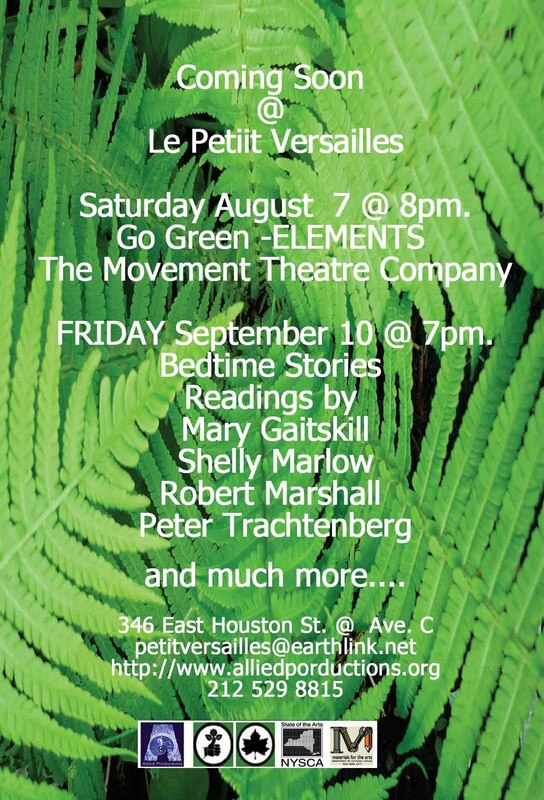 AUGUST 7th – GO GREEN: ELEMENTS – A piece by the Movement Theater Company | Allied Productions, Inc.
Earth, Air, Fire, Water are the fundamental elements that have built up and at times destroyed our civilizations. These components, and the relationships between them, have shaped human existence on the planet. How have we, humanity, evolved as the fifth element and altered the balance? 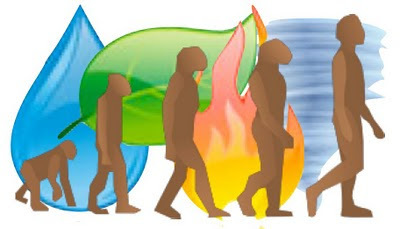 As the world changes from our imprint, the forces of nature these elements control are competing to regain their place in the eco-system. How will these forces play out if not treated with respect? Recent examples like the earthquake in Haiti and Hurricane Katrina serve as reminders that Mother Earth is speaking. Are YOU listening? Each artist will present an original piece based off of this years artistic statement and their particular element. ~Playwrights will not be allowed to use any paper from the creation-presentation of their play. ~Choreographer must find ways to include their element into the piece. ~Visual Artist must blend all five elements together into a visual representation of the elements. Check out the Movement Theatre Company’s website here! Le Petit Versailles, created in 1996 by community neighbors is a GreenThumb garden and a project of Allied Productions, Inc. a non profit arts organization. LPV provides a green oasis for meditation and relaxation dedicated to fostering the interest of all segments of the community in the arts, broadening and enriching the general public through performances, screenings, workshops. LPV events are made possible by Allied Productions, Inc., Green Thumb/NYC Dept. of Parks, Materials for the Arts;NYC Dept. of Cultural Affairs, NYC Dept. of Sanitation & NYC Board of Education. Film & Exhibition support from The New York State Council on the Arts, a state agency.